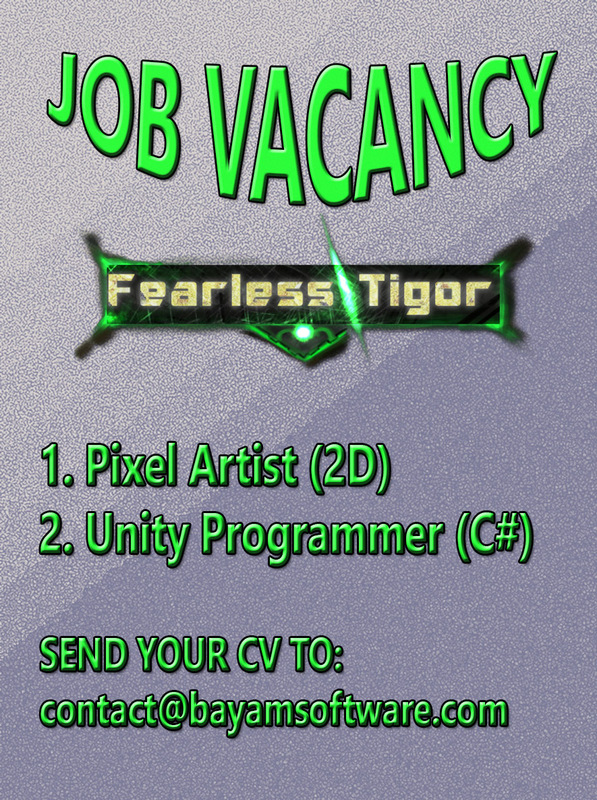 After Fearless Tigor got greenlit, we need some fresh staff suitable with our team culture especially helping our game get a release date quickly in this year. Pixel Artist & Unity Developer (C#) as high priority to fill in our team. Its job vacancy only for indonesian people (prefer in Jabotabek area). At least 1 year of professional experience in creating game assets. Advanced knowledge of Adobe Photoshop. Can working remotely but must available when meet up for every one week. At least 1 year of professional experience in developing game with Unity (especially with c# language). Advanced knowledge of Unity Tool.